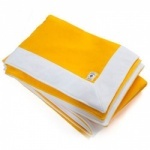 Acqua Di Parma Bathrobes, Kimonos and Bath Towels. 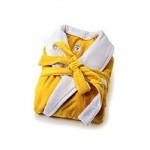 Acqua Di Parma Bathrobes are specially handcrafted and created for people who prize comfort but who do not want to relinquish their individual style, sophistication and elegance. Acqua Di Parma Bathrobes are sumptuous luxuries, distinguished by the highest quality fabrics and exclusive handcrafted methods. Acqua Di Parma Velvet Terrycloth Bathrobes caress the skin, have a great absorbent capacity and are stitched with precious trimmings that complete the unbeatable quality and prestige of the bathing product.